It's almost Halloween and your kids are probably getting more and more excited for the holiday. If you're looking for a way to celebrate in Philly, we've got you covered. 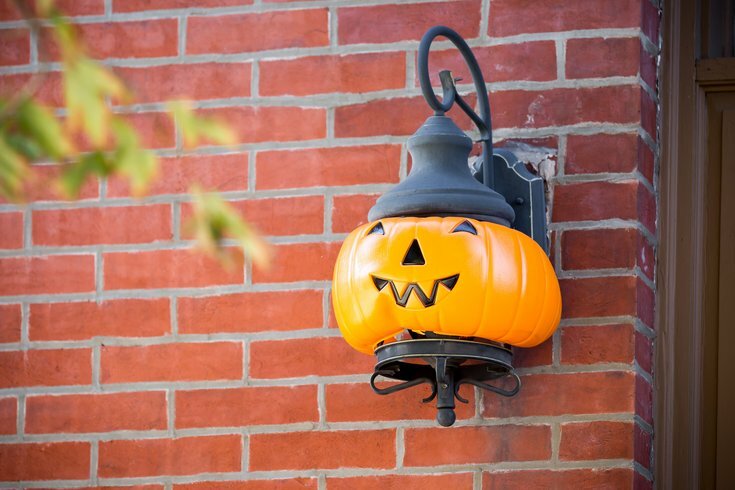 Below are seven events sure to entertain both kids and parents this Halloween season. RELATED: How to make your own 'Gritty' Halloween costume on a tight (or big) budget | Pennsylvania dominates list of best Halloween haunts in U.S.
UPDATE Oct. 26: East Passyunk Avenue Business Improvement District reports that due to forecasted inclement weather, East Passyunk Fall Fest and Spooky Saturday is being rescheduled to Sunday, Oct. 28. •Pumpkin decorating at the Singing Fountain 11 a.m. – 2 p.m.
•Costume contest at the Singing Fountain 1 p.m. – 2:30 p.m.
•Scarecrow trick-or-treating along the Avenue 1 p.m. – 4 p.m.
All ages can dress up in costume to go trick-or-treating at the businesses by Rittenhouse Square Park on Saturday, Oct. 27. Places like Ben and Jerry’s, Lululemon, Shakespeare and Co., HipCityVeg, South Moon Under and more are participating. Just look for the orange sign with a black cat on it, indicating a trick or treat location. Capital One Café will also have Halloween-themed storytime. The book "Pete the Cat: Five Little Pumpkins" will be read every hour, between noon and 3 p.m. After the story is finished, children are invited to decorate a pumpkin frame magnet to take home. The whole family can enjoy a Halloween-themed concert at the Kimmel Center on Saturday, Oct. 27. The Philadelphia Orchestra will perform "spooktacular" classics. The performance will also highlight the Mexican traditions of Día de los Muertos, so expect to hear music from Disney's "Coco." In addition to seeing musicians perform in costume, audience members are encouraged to show up in their Halloween best for a chance to win the Orchestra’s costume contest. Kids can enjoy trick-or-treating at dozens of businesses in the Headhouse District neighborhood during PumpkinFest. Also, there will be performances from the Philadelphia School of Circus Arts, a magician, a hay bale maze, wagon rides, a costume contest and pumpkin decorating. Check out thousands of jack-o'-lanterns at "The Glow." Some of the illuminated pumpkins' carvings will be recognizable figures, like movie stars, Disney characters, musicians and sports heroes. Other jack-o'-lanterns will create larger-than-life sculptures, including huge dinosaurs and a 30-foot-long pirate ship. Kids are invited to dress up in a Halloween costume to go on a trick or treat safari. This year, admission to the zoo is only $10 for children (age 2 to 11) during Boo at the Zoo. Laurel Hill Cemetery will host its annual family-friendly Halloween celebration on Sunday, Oct. 28. Families can pack a picnic, dress in costume and enjoy a fall day on the grounds. There will be a pumpkin patch, a costume parade and arts and crafts. This year, there will be hay rides through the cemetery, too.